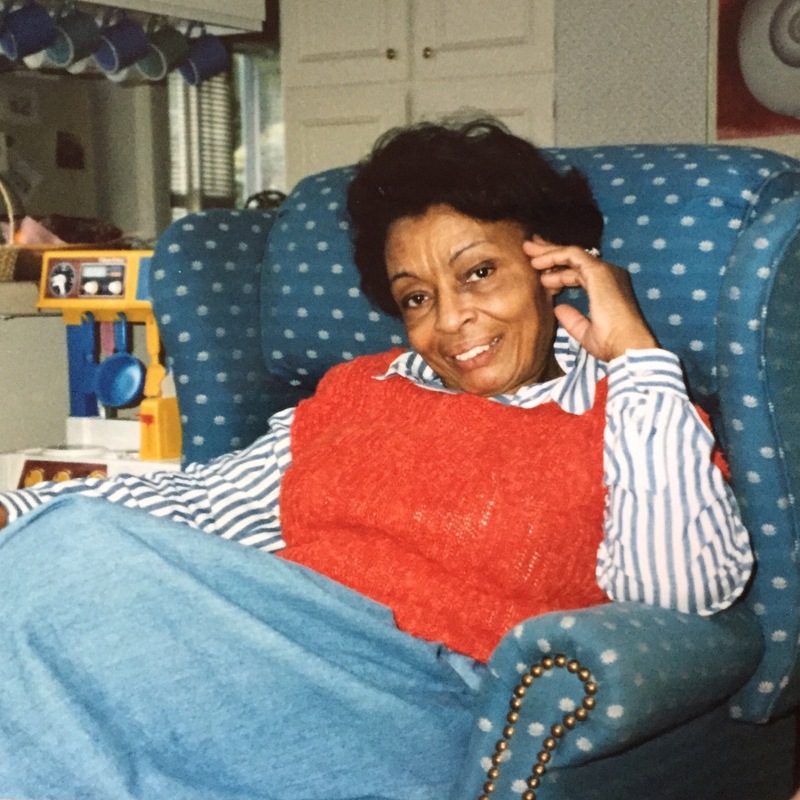 MRS. LEE SIN « Cooking With Grandmothers Cooking with Grandmothers records, gathers, and shares the recipes, food traditions, and wisdom of female elders from around the world. Incredible stories can be found anywhere, and I learned about Mrs. Lee Sin's during the summer of 2015, while I was getting my teeth cleaned! Her granddaughter, Jane, is my dental hygienist and, to distract me from the task at hand, she told me about her centenarian grandmother's native Fujian cooking. The plan was to document her as soon as possible. Unfortunately Mrs. Lee Sin passed away shortly thereafter; in her honor, Jane spent a day teaching me the best of her grandmother’s recipes and telling me the story of her life. From the start of our conversation, I was stunned not only by what Jane’s grandmother had been through during her lifetime, but also by the spirit of grace, gratitude, and perseverance with which she faced hardship. Let’s begin at the beginning. She was born in 1910, during a time when baby girls were not wanted in China. Because of this, her mother left her in the basement overnight; she decided that if her baby girl lived through the night she would keep her. The rats nibbled at her nose a bit, but she survived bright and strong, and ultimately made it to 105 years old. Mrs. Lee Sin married at age fifteen, through a matchmaker. The bride and groom never saw (needless to say, met) each other until their wedding night. It was only after she married that her husband chose a name and birthday for her. Publicly she became known as Mrs. Lee Sin, although in private he lovingly calling her “round jade," for in her moon-like face he saw the majesty of the precious stone. But, as beautiful as she was, she was stronger still in spirit. Shortly after she married, civil war and a lack of jobs in her native Fujian province prompted a move with her husband’s family to the Philippines. She spent most of her adult life in Mindanao, with a few years hiding in the forest during the Japanese invasion from 1942-45. Strong-spirited from the start, she transported her then six children by horse and cow to the tropical forest of Mindanao. There, during the invasion, she grew food for her family and rigged up running water through an ingenious use of interconnected hollow bamboo poles. She became known near and far as the smart survivor. 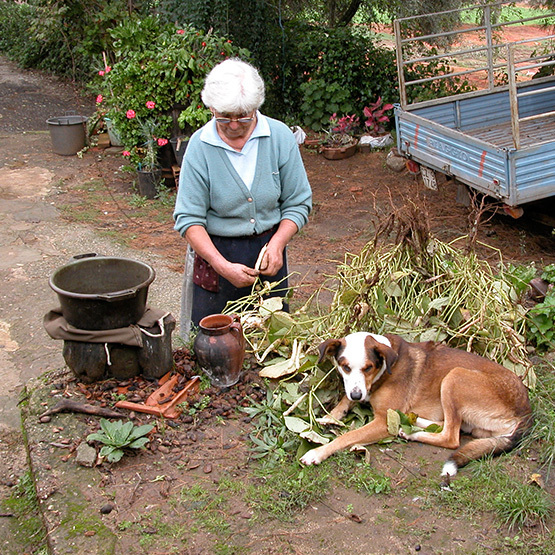 Her perseverance extended to her kitchen, where she was always cooking for fifteen to twenty people per meal. There, she kept her native Chinese traditions fully alive, passing them along first to her ten children, and then to her many grandchildren. Her recipes were the pure ones from her Fujian childhood. Slowly braised pigs feet in a soy caramel sauce, and fresh spring rolls with tiny, crispy Shishi seaweed and toasted peanuts were the family’s favorites. Jane and I made both of these dishes together. 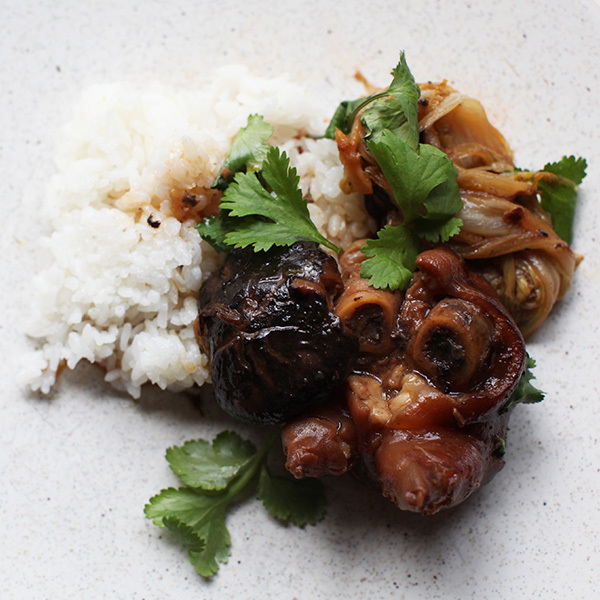 The pigs feet were silky and unctuous in the mouth, rich in gelatin and collagen, with hints of star anise, shitake, and garlic in the salty-sweet braising liquid. The spring rolls combined fresh herbs with a cooked filling of pork, leeks, garlic, and tofu. Together they were tucked inside the folds of cold, crunchy butter lettuce, folded into lumpia rice paper rolls, and popped swiftly into hungry mouths. Until she passed away, Mrs. Lee Sin was not only the cook for her family, but also the central figure of the clan, assembling everyone together for her traditional Chinese food. Appropriately so, everything was eaten around a giant table, made to accommodate the abundance of both family and food that she created during her long, beautiful life.